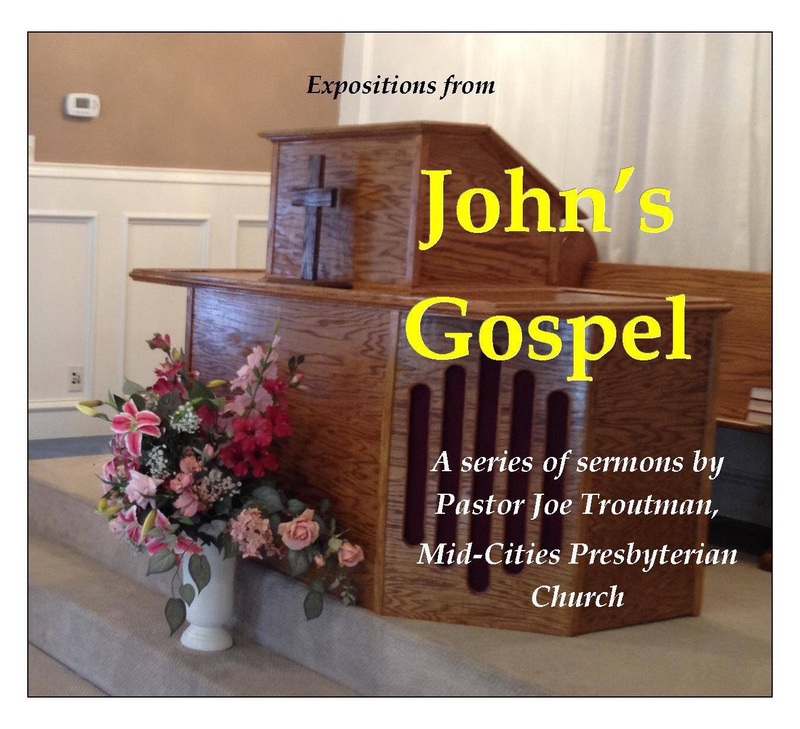 On Sunday, October 4, 2015, Pastor Joe Troutman preached “Outcasts Accepted” from John 9:8-41. Jesus Christ finds people that have been abandoned, rejected and cast out, and he calls them to himself. 1. Blind Skepticism—It’s understandable that the people were skeptical of the claim of the man born blind to being made able to see, but their response in taking him before the Pharisees betrays their unbelief. The Pharisees, unable to come to consensus, ask him for his opinion, which leads him to confess that Jesus is a prophet. 2. The Formerly Blind Leading the Blind—The man born blind already understands more about Jesus than do the Pharisees. Unafraid, he confessed that Jesus is from God. Lacking humility to hear his believing reasoning, the Pharisees cast him out of the synagogue. 3. Found By Jesus—Jesus identifies himself as the Son of Man referenced in Isaiah, and the man healed of blindness confesses faith and worships Jesus. Jesus is the supreme revelation of God to man, and the Judge to come on the Last Day. Worship of Jesus is the duty of those chosen for redemption by him. Hypocrites who claim to see are blind to Jesus as the true Object of worship. The Kingdom of God seeks, receives and never forsakes believers who have been rejected by their unbelieving family or society. Listen to “Outcasts Accepted” (John 9:8-41) at mcopc.org. So for the second time they called the man who had been blind and said to him, “Give glory to God. We know that this man is a sinner.” He answered, “Whether he is a sinner I do not know. One thing I do know, that though I was blind, now I see.” They said to him, “What did he do to you? How did he open your eyes?” He answered them, “I have told you already, and you would not listen. Why do you want to hear it again? Do you also want to become his disciples?” And they reviled him, saying, “You are his disciple, but we are disciples of Moses. We know that God has spoken to Moses, but as for this man, we do not know where he comes from.” The man answered, “Why, this is an amazing thing! You do not know where he comes from, and yet he opened my eyes. We know that God does not listen to sinners, but if anyone is a worshiper of God and does his will, God listens to him. Never since the world began has it been heard that anyone opened the eyes of a man born blind. If this man were not from God, he could do nothing.” They answered him, “You were born in utter sin, and would you teach us?” And they cast him out. Jesus heard that they had cast him out, and having found him he said, “Do you believe in the Son of Man?” He answered, “And who is he, sir, that I may believe in him?” Jesus said to him, “You have seen him, and it is he who is speaking to you.” He said, “Lord, I believe,” and he worshiped him. Jesus said, “For judgment I came into this world, that those who do not see may see, and those who see may become blind.” Some of the Pharisees near him heard these things, and said to him, “Are we also blind?” Jesus said to them, “If you were blind, you would have no guilt; but now that you say, ‘We see,’ your guilt remains.